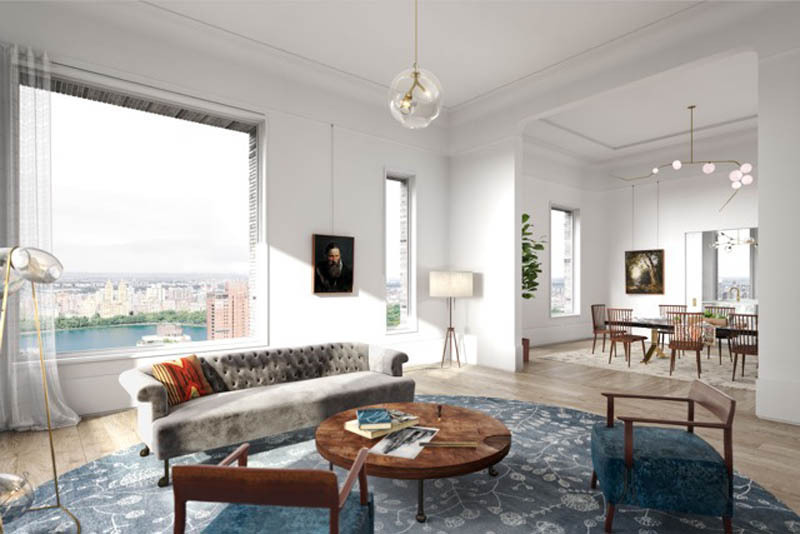 180 East 88th Street evokes a refined, pre-war aesthetic characteristic of traditional UES buildings with picture rails, custom wainscoting, and baseboard reveals featured in primary living areas. 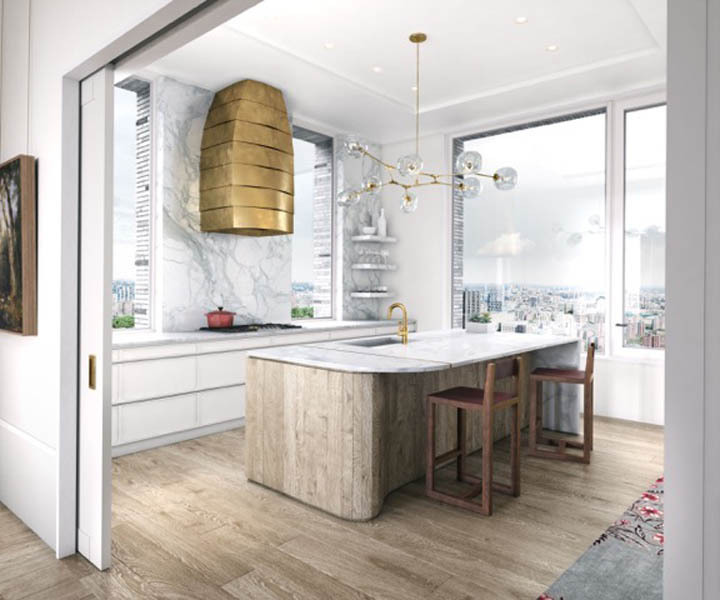 Custom kitchens designed by Molteni&C Dada with DDG include honed Italian Statuario marble slab countertops, integrated Gaggenau appliance package and natural brass details. Exaggerated ceiling heights up to 14’-2″ and 28′-8″ in duplexes and windows up to 9’ tall allow for an exceptional volume of space and appreciation of light and views. Many residences feature a formal elliptical gallery, gracefully appointed with herringbone flooring from Austria, plaster cove details and wainscoting.